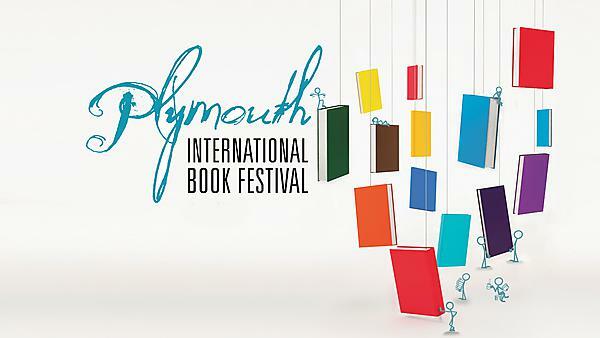 Bestselling authors Judy Finnigan, Simon Scarrow and Matt Haig will be among the leading literary lights appearing at the 2015 Plymouth International Book Festival. Writer and musician John Hegley, Thurston Moore, co-founder of experimental rock band Sonic Youth, comedian and actress Helen Lederer, refugee campaigner Bidisha and whisky connoisseur Ian Buxton are also on the roster for the fourth staging of the popular annual event. The 2015 festival is being held from October 15-22, with talks, performances and workshops taking place on the Plymouth University campus and at venues around the city. Organised through a partnership of Plymouth University, Peninsula Arts, Literature Works and Plymouth City Council, and supported by Arts Council England, the Festival aims to unite local and global authors and audiences. Judy Finnigan and Richard Madeley, as well as being household names from the small screen, have become synonymous with discovering and sharing great fiction through the Richard and Judy Book Club. Both will be appearing in Plymouth to discuss Judy’s latest novel, I Do Not Sleep. Simon Scarrow’s Roman soldier heroes Cato and Macro first stormed the bookshops in 2000 in Under the Eagle and have subsequently appeared in a number of other bestsellers including Centurion and The Gladiator. He will discuss his work with Devon writer Michael Jecks, himself the author of more than 30 historical novels based on Dartmoor. Matt Haig suffered a breakdown in his early twenties, and believes that reading and writing books saved his life. His novels include the bestsellers The Last Family in England, The Radleys and The Humans, while his novels for children include Shadow Forest, To Be A Cat and the new young adult novel Echo Boy. Other names appearing for 2015 include spoken word performers Anna Freeman and Tim Clare, and Radio 4 script writers Edson Burton and Paul Dodgson. There will also be an exploration of the impact of National Trust properties on popular literature, and an exciting blend of young and old performance poetry in Public Address: The Soapbox Tour. As well as hosting a blend of local and global talent, the 2015 festival will include a greater social focus, with the chance to relax in a 1950s Hollywood-style café, Chez Paulette. Created by Plymouth University Fine Art lecturer Anya Lewin, whose father ran an establishment on Los Angeles’ Sunset Strip, it will be provide an opportunity to meet before or after events and mull over literary passions and experiences.